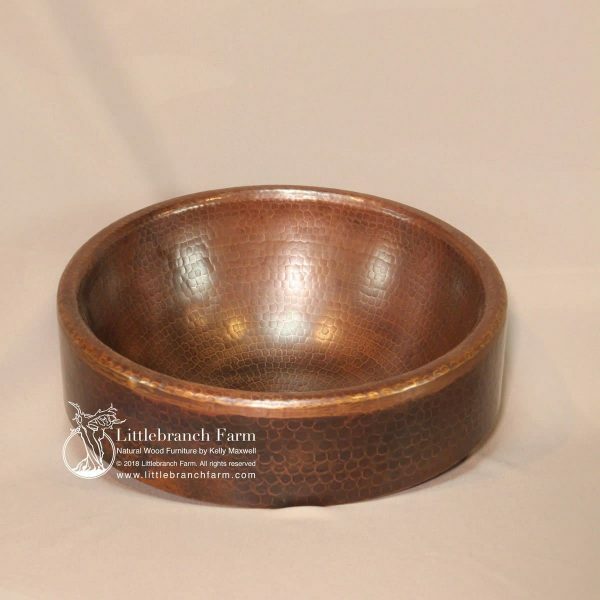 Hammered copper round vessel sink is 17″ round with a 4″ farmhouse apron. 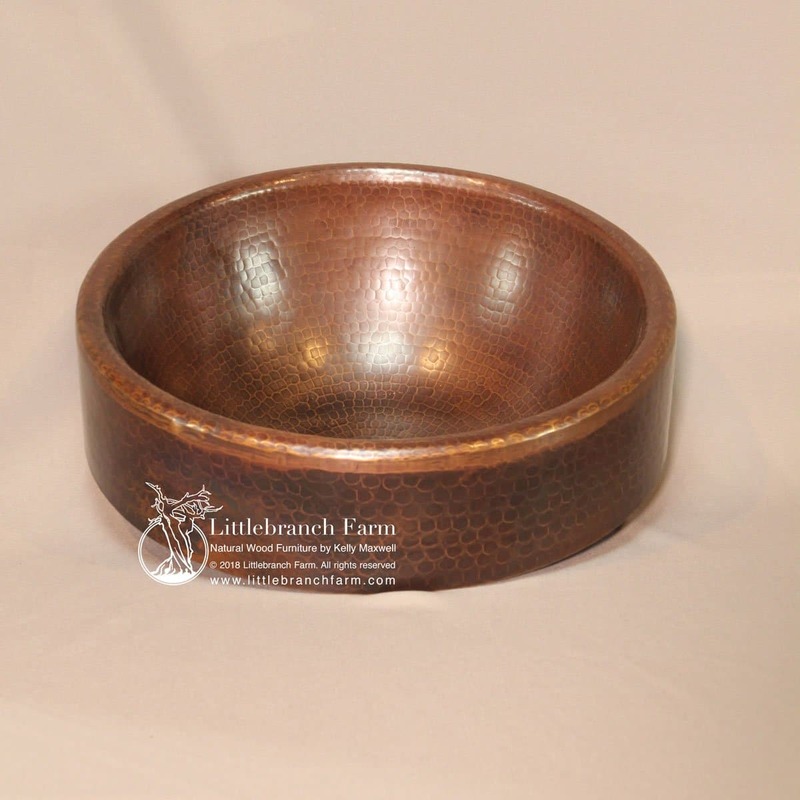 Hammered copper round vessel sink features a 4″ farmhouse apron and natural patina. 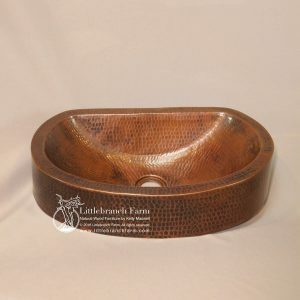 Also, this bathroom sink is perfect for a rustic bar or bathroom vanity. 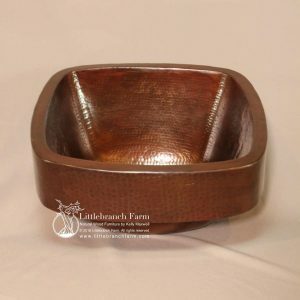 While the simple rounded edges make it easy to clean with soap and water. The design options are limitless from a rustic vanity made from tree stumps or even reclaimed barn wood to modern rustic floating vanities. 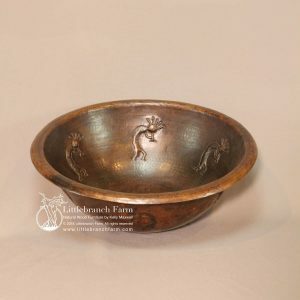 Also, think about the man cave or as I call it the family party space. 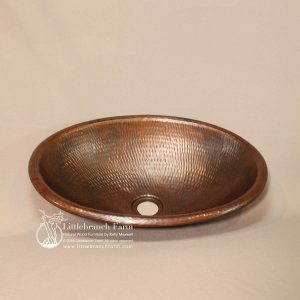 Why not add a custom wet bar featuring a beer tap and hammered copper sink. These should be fun carefree spaces and may also feature pool tables or other game tables made from natural wood.